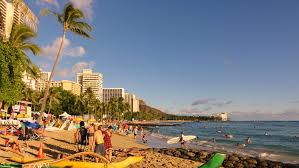 Honolulu, Hawaii — We had surfed along the wave of technological advancement for so long that it became, along with rock `n` roll and fast food, a defining element of our Baby Boom generation. We grew up with pre-Michael Jackson moon walks, the Neil Armstrong kind, and the advent of Texas Instrument calculation over the analog slide rule means of computation. We were the cutting edge generation, the “teach your parents well” generation who easily identified with Peter Pan, because our perpetual youth had its bounty extended well into our adult years.